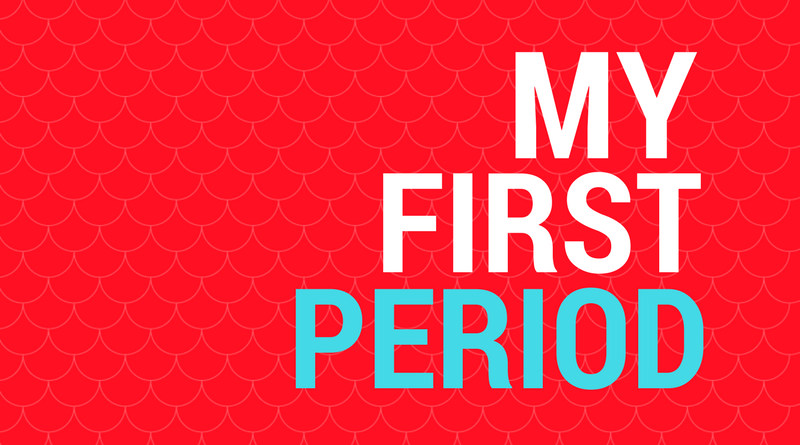 What’s it like to start your period? Can a period be positive? I thought my first period was poo. I was 12 years old and brown gunge suddenly appeared on my pants. It was dark – and all periods are red, right? – so I sensibly concluded that I had a fairly serious bowel problem. The power shower and toilet paper were employed over a couple of days and then, just as I was beginning to really worry about my innards, it all stopped. Normal life resumed. The following month, however, it started again. Somehow my Mum found out – I think staining the sheets in a holiday home in Dorset gave it away – and she explained that no, I did not have a bowel problem, but I had started my period. She gave me some green Always pads (it took me a while to negotiate tampons,) a lot of reassurance, and changed the bedding. You’d think I’d have been relieved that I wasn’t suffering from incontinence, but instead I cried, frantically. It was dark and raining outside and I distinctly remember lying on my bed, so afraid that I was growing up, that I was no longer my parents’ ‘little girl’. It felt like womanhood had struck, and I wasn’t ready. In reality, of course, I was ready – I didn’t have a choice. Back at school, surrounded by friends who were going through the same experience, it was no longer scary to have started my period, but a thing of strange interest and excitement that we could all share. It was the first stage on a long journey about learning about my body and being a woman – a journey that will continue forever, most probably. Are you still curious about periods? Check our period myth busters – or for more information read Brook’s period pages. ← Is YouTube censoring the LGBTQ+ community?